The reliable and robust mobile computer CK65 was developed by Honeywell for demanding tasks in warehousing, transportation and logistics. It convinces with an Android operating system and an ergonomic design. 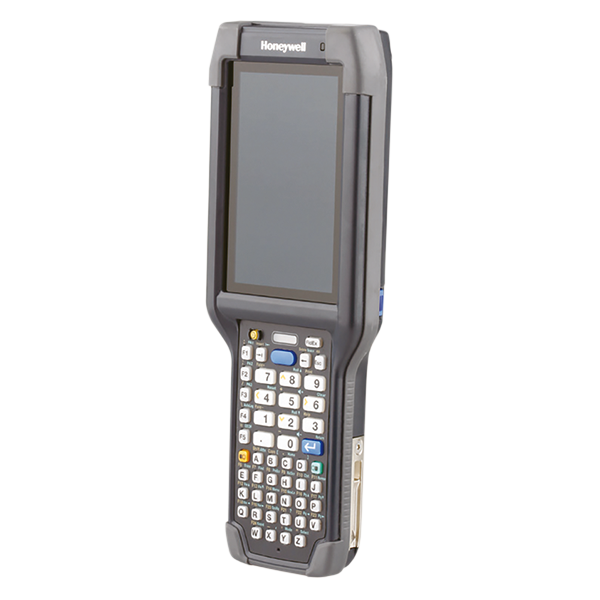 As a member of Mobility Edge, Honeywell's dynamic and uniform platform for mobile devices, the CK65 mobile computer is a sound investment for the future and very durable. The Android operating system of the CK65 receives, via Mobility Edge, support for four generations of Android, starting with Android 8. Enjoy security updates for an additional two years longer via Honeywell Sentinel. 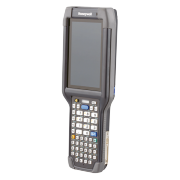 In addition to the large 4’’ bright color LCD touch screen, which is also well readable outside, Honeywell has equipped the CK65 with a numeric keypad with 38 keys (optionally also alphanumeric with 51 keys). Honeywell knows that saving time and long distances is important in retail, warehousing and logistics. That's why the CK65 has a future-oriented 1D/2D imager that captures barcodes just as good from 0.15 m as from 15.2 m. The battery power is remarkable: 5,100 mAh - that’s up to 18 hours of power. Order the Honeywell CK65 with your sales representative! Give us a call today!